A guide to edible and medicinal weeds in Australia. Presented in a useful format with clear colour photographs to assist identification. The flexicover makes the publication sufficiently robust to withstand use in the field. A must for budding foragers and wildcrafters. Postage included in the price. 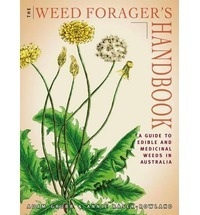 Be the first to review “The Weed Forager’s Handbook, book” Click here to cancel reply.